Just read the blog on reuters that addresses the God before mortgage crisis in which people would rather tithe than lose their house. Consider my post a continuation from the last post. The author stated on Reuters how he had trouble finding anyone who would give their name and publicly announce that they are foreclosing on their home so that they can continue to give to God. I find that very interesting, cause normally tithers are very bold about their life long decision to tithe. If they think their tithing decision is truly making God happy, then people are always more than willing to share their story and give their name. Even as they foreclose their house, usually feelings of persecution usher into their minds as they strain and stand up to do God’s tithing will, amidst their crisis. 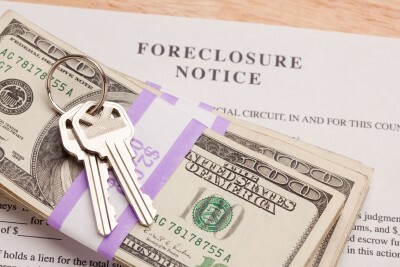 You will never have trouble finding a name or a person who tithes, but finding a name from a tither who is foreclosing on their house, now that’s like pulling teeth. It’s not as if he couldn’t find these people. No, he could. They just wouldn’t give their names. This is interesting indeed. Granted losing your house is embarrassing. But why all the embarrassment if you are doing what is right by tithing? Unless, these people truly do think that their decision is foolishness. What does the bible say? This is where these people are stuck. They know that what they are going to do with their house is wrong, but on the other hand, they feel that not tithing is wrong as well. I feel bad for these people. I really do. It is sad to me. Besides the fact of what this is doing to their family, it is said at what the world sees. The world doesn’t care about whether you tithed or not this Sunday. Not that i care what the world thinks in the wrong way, but God does call us a light on a hill for a reason. What a testimony. We talk about a God who paid the debt for everyone, but we show them our stubbornness to pay our own financial debts. How is God glorified through your financial negligence, but honored through your tithing? You cannot justify one over the other. There are many people out there who are in legitimate debt that they cannot afford to pay. I understand that, so i am not talking about those people. Through it all, my guess for why nobody wanted to share their name in that news article is because people know what they are doing is not right, but they use tithing as a spiritual quest to appease their guilty conscience. People need to stop tithing & get out of debt. Giving because you love is wonderfull, giving because you think you have to feels bad. Selfish people do not want to give at all but people who love God often give when God says and in many cases it is way above 10%. God owns us completely and 100% of what we own is his, yet if we are listening he will tell us when and where to give. My husband tithes and I obey but some of the joy is gone. But I am still glad to give most of the time. Most are stuck in their ways,and if I dare open my mouth and suggest it might be legalism look out. So I in my church keep my opinion to my self. I do believe I have had wrong opinions and am open to Gods correction in my life, but regardless cheerfull giving is Gods way not forced. I have oftened wondered myself but was taught about tithing when I started going to church. I have to say that God provided us supernaturally during some times in our life that we cannot explain! Also, I stopped tithing for a few years because i stopped going to church, our finances were out of control during that time! I started going back to church and started tithing again and finances just kinda fell into place. Also during the time i didnt tithe God was really speaking to me about it…whenever I prayed and asked Him to show me if there was anything I was doing wrong He would remind me of not tithing. Not to mention churches need our support so they can function. I am proud of you for tithing also! Just remember that even though God loves a cheeerful giver we arent always going to feel that way..ask God to help you be more cheerful and He will! The Bible NEVER commands tithing to be done on money, and NEVER COMMANDS any kind of tithe for New Testament Christians. Keep one point of the Old Law, you have to do it perfectly, and come under ALL 613 ordinances of the Jewish Law. Preachers seize on the ten per cent figure and forget all the other regulations connected with tithing, including how tithes were ONLY paid on agricultural produce and they were for the benefit of the hungry people of the land, not to pay a pastor’s salary! Forgotten is the Third Year tithe, when all the tithe was to go to the poor (Deut.14:26-29) The tither is to buy wine or strong drink with any money gained from selling tithed produce. Lev.27:30-34 proves tithing wasn’t to be done on money. In Acts 15 the apostles didn’t tell Gentile converts to start tithing anything. If circumcision was enforced like tithing is, all the men would run out the church door like the devil was chasing them! But there’s no money to be made from circumcision. 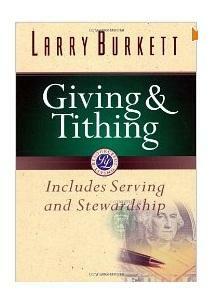 Interesting, how “giving to God” means giving to that stuffed shirt standing behind the pulpit. If any man sets himself in the place of God to take so-called tithes, he’s usurping the place of Jesus Christ, our great High Priest, and that’s done in the spirit of anti-christ (instead of Christ). Only LEVITES were allowed to take any type of tithes (Heb.7:5). Unless your pastor is a physical descendant of Aaron the High Priest, he’s breaking OT law in taking up tithes. And it’s a great sin to import doctrines from the Old Law and transplant them into our New Covenant of grace to bilk people out of their money! One other thing. What Jesus said about religious leaders devouring widows’ houses takes on a fresh meaning for our day. Why should Christians go homeless to keep preachers up in style when preachers don’t have to make the same sacrifices? Also, in the Old Testament priests NEVER tithed to fellow priests. I Pet.2:5 and 9 says everyday Christian believers ARE priests of the New Covenant, not just the guy in the pulpit. When you pay tithes, you’re paying tribute to a greedy deceiver who’s robbing you of your priesthood.